With the fight against plastics being a hot topic in the UK and Worldwide we are pleased to be able to launch our new range of 100% biodegradable packaging. 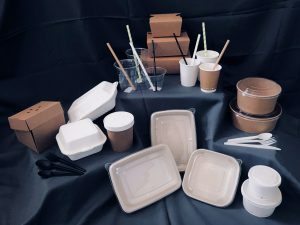 Our new biodegradable range is perfect for all markets, from street food market stalls to large scale caterers who are looking to make the switch from plastic and demonstrate their ongoing commitment to protecting our environment. Contact us for more information about our new range or to order samples.